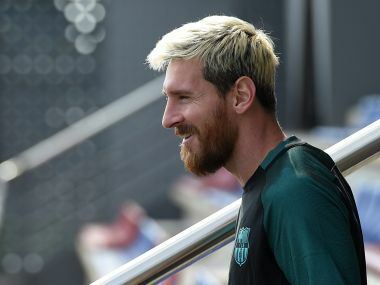 Madrid, Spain: Argentina's pain is Barcelona's gain as Lionel Messi returns for the Spanish champions when Deportivo la Coruna visit the Camp Nou on Saturday after being sidelined for three weeks with a groin injury. Messi missed Argentina's World Cup qualifiers against Peru and Paraguay as La Albiceleste's struggles without the five-time World Player of the Year continued, putting at risk their place at the 2018 World Cup. 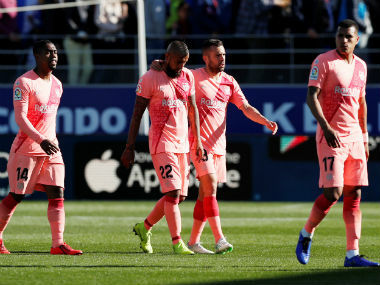 However, international breaks have traditionally caused Barca trouble too with lethargic performances on their return to La Liga action coming to be known as the "Fifa virus." Barca boss Luis Enrique paid a heavy price for leaving Messi and Luis Suarez on the bench for a shock 2-1 home defeat to Alaves after September's international break. "It is a different game for us having had so few days with the team together to prepare," Enrique said on Friday. "It is not an excuse because it happens to all big teams, but it is something that conditions the game and when you have had the result like the Alaves one, it means you prepare the game with even more emphasis." With a blockbuster Champions League clash against former Barca coach Pep Guardiola's Manchester City to come on Wednesday, Enrique could be tempted to roll the dice with his selection once more. However, with Barca trailing Real Madrid and Atletico Madrid by two points at the top following a 4-3 defeat to Celta Vigo last time out, Enrique insists Deportivo have to be Barca's priority. "We want to cut the gap and the only way to do that is to win our matches," he added. "The precedent is there and the players know how difficult and special it is to only have two days to prepare for a game. To think of any other match is an error." Messi is expected to be eased back into action as a second-half substitute. Meanwhile, Suarez could make way for Paco Alcacer having played twice for Uruguay in the past week. Neymar will definitely start as he returned to the Catalan capital early due to his suspension for Brazil's 2-0 win at Venezuela on Tuesday. Real face the toughest task on paper of the title contenders as they travel to Real Betis aiming to snap a streak of four consecutive draws. "I am not a magician" said Madrid boss Zinedine Zidane on Friday. "Only hard work will get us out of this run because the talent is there." Zidane's men also having a mounting injury crisis to deal with as captain Sergio Ramos is set to be sidelined for up to six weeks by a knee sprain. Luka Modric is also out for the rest of the month due to knee surgery, whilst influential holding midfielder Casemiro is missing due to a fractured fibia. 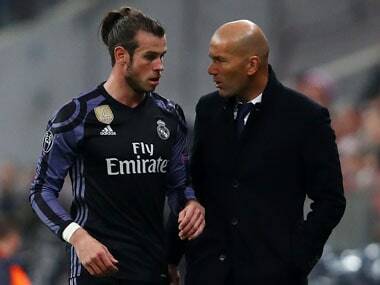 "If we draw three or four games there are things that as the coach I have to find solutions for," added Zidane. "I know the players are great professionals and we have to have a bit more concentration, more intensity, a bit more of everything." Atletico were the form team before the international break with six wins and a draw at the Camp Nou in their last seven games taking Diego Simeone's men to the top of the table on goal difference. By contrast, Lucas Alcaraz will take charge of winless Granada for the first time in his third spell as coach after the sacking of Paco Jemez when they visit the Vicente Calderon looking to stop the on-fire Antoine Griezmann. 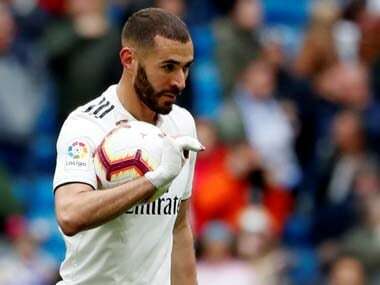 The French international picked up September's player of the month award on Friday for his six goals in his last five La Liga games. Third-placed Sevilla have the chance to go top for at least a few hours when they visit Leganes on Saturday lunchtime. To do so, though, Sevilla need to end a 22-game streak stretching back 17 months without a La Liga win away from home.